Many were on display at the 2010 SEMA show in Las Vegas. We've picked out some of our favorites for you to preview! Coming soon! 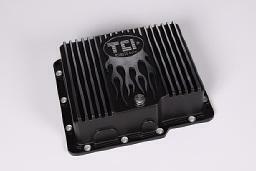 More new products for 2011 from the upcoming Performance Racing Industry Show! Using High-Frequency GPS, the new G-TECH/Pro Performance Meter has superior accuracy for measurements like 0-60 mph, 1/4 mile, horsepower, torque etc. Now it has track-timing and segment-timing with immediate in-car results . It's like having a professional driving instructor with you. Now works on motorcycles and boats as well. 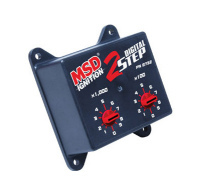 The bar is raised as the MSD 6AL ignition finally goes digital! Higher output and more power efficient than ever. 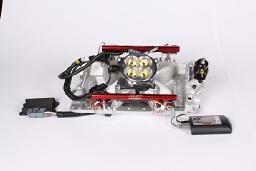 Adjust the soft-touch rev limiter with 2 rotary dials on the top of a newly designed low-profile case. Built-in leds for system checks. Digital micro-proccessor controlled. Set launch RPM in 100 rpm increments. 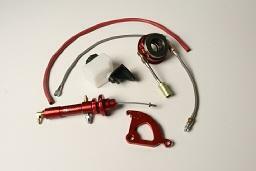 Connect to transbrake, clutch switch or line-lock switch to activate low rpm limit for harder launches. For MSD digital 6AL only. 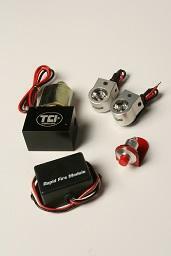 TCI Universal Burnout Kit works with any vehicle & brake system to create "monster" burnouts with pulsing, lighted blue tire smoke for a stunning visual. 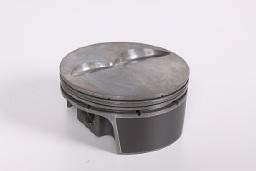 Innovative Die Cast Deep Aluminum Pan for Powerglide transmissions features lighter weight, increased fluid capacity and an o-ring drain plug design that ensures 100% sealing. The worlds first aftermarket 6-speed automatic transmission capable of handling 850hp! Fully programmable transmission that gives you 6 forward gears (2.97, 2.23, 1.57, 1.18, 1.00, 0.75) for quicker acceleration and increased fuel economy at cruising speeds. Superchips Vivid uses Google Android operating system to deliver its tuning and features. 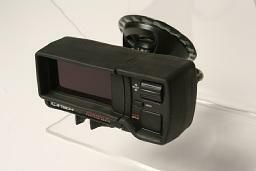 Add a few inexpensive accessories, the Superchips Vivid will work as a GPS unit, backup camera monitor and much more. HD-Video, bluetooth & wi-fi capable. 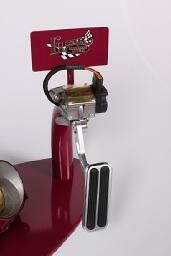 The Small Block Chevrolet WISSOTA PowerPak Plus was designed specifically for sportsman level circle track racers. Machined on MSP25/2618 alloy forgings, gas ported and supplied with .043"", 1.5mm, 3.0mm ring sets for low drag to be used in high RPM applications. 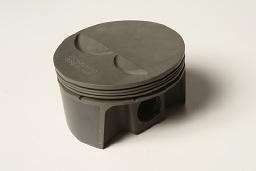 The 2bbl Small Block Chevrolet PowerPak was designed specifically for limited circle track application producing under 500hp. 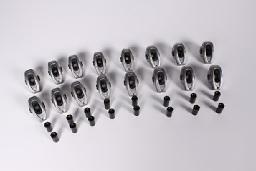 Each kit includes dual coated forged slipper skirt pistons, German steel pins, race proven round wire locks and an ultra flat 1.5mm, 1.5mm, 3.0mm performance ring set. 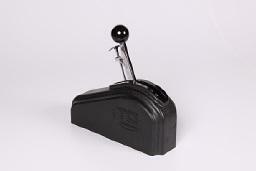 Lokar partners with World Leader, Williams Controls in developing first Programmable Electronic Drive-By-Wire Throttle Pedal for automotive aftermarket. 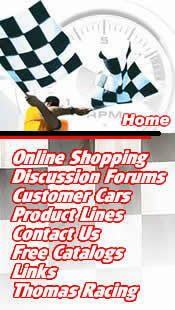 GM, Ford and Mopar applications. 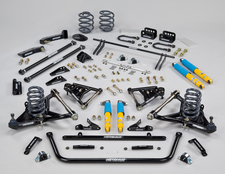 Hedman Performance Group's Chevy V-8 4x4 S-10/Blazer Swap In-a-Box kit, takes the guess work out of searching for the right combination of performance parts that work seamlessly together. Drop-in breaker points replacement with digitally controlled accuracy. 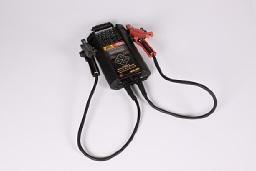 Features include: easy installation, one wire operation, advanced adaptive dwell, start assist multi-spark technology. Available for common Chevy, Ford & Chrysler applications. High Energy Die Cast Aluminum Roller Rockers feature a needle bearing fulcrum and roller tip that reduce friction for an extremely affordable, do-it-yourself performance upgrade. 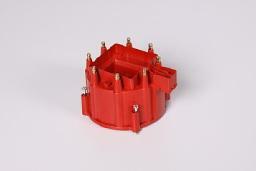 ACCEL Corrrected distributor cap eliminates crossed ispark plug wires on your GM (most Chevrolet and Buick) HEI-Equipped V8 for clean, uncluttered engine compartment. This slick digital mini spring tester features kg conversion, backlit screen, and peak hold. It also has a 0-700 lb range and measure in 2 lb increments. 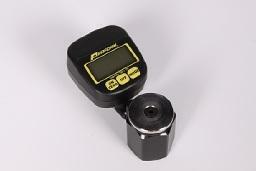 The digital gauge also swivels 90 degrees left and right for easy reading. 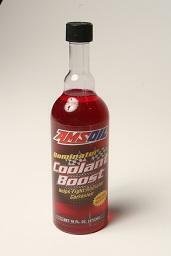 Engineered to exceed the requirements of GM, Ford and Toyota where low-viscosity oil is required. Provides outstanding performance and protection, even in severe operating conditions. 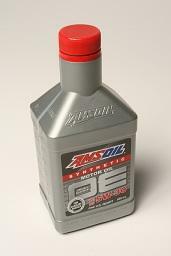 Attractively priced synthetic motor oil for OEM recommended drain intervals. Formulated to provide better wear control, high-and-low temperature protection, increased fuel economy, clean operation and superior performance. 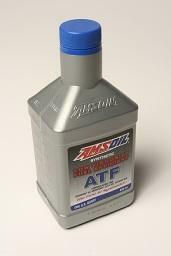 Provides racers and motorists with significantly lower engine operating temperatures, quicker engines warm-up times and advanced corrosion protection. 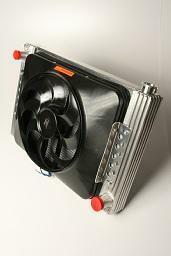 Flex-a-lite has introduced a new cross-flow radiator with patented Flex-a-fit� side tank design. The internal fins perform as heat sinks which absorb heat quickly from the engine coolant, radiating it through external fins to dissipate heat twice as fast. 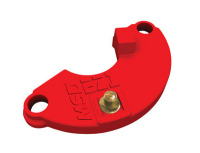 Affordable FAST-GATE Performance Shifter combines high performance, reliability and easy installation in a universal design that fits virtually any 3- or 4-speed application. 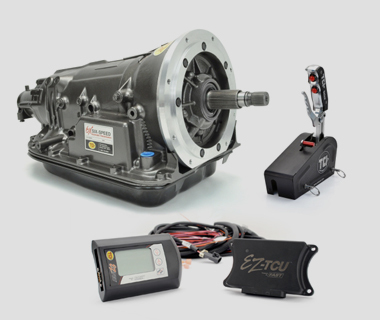 The TCI EZ-TCU offers maximum electronic control over popular GM 4-speed electronic overdrive transmissions with no software, laptop or tuning experience required. 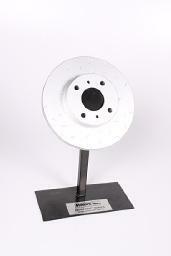 Hawk Performance Quiet Slot Rotors are cast from a proprietary formulation of premium alloys producing a superior performance street product. Hawk rotors feature a unique slot design specifically engineered to improve your vehicles braking performance and driver comfort. 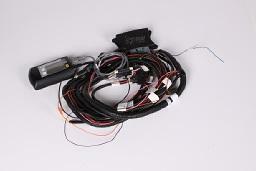 Electrical System Analyzer, providing battery, starter, and Alternator diagnostics in 82 seconds. AGM and Conventional Battery Optimized. For the ultimate handling 1967-72 C-10 Pickup, nothing beats this Total Vehicle System. This kit has been rigorously designed and tested on the track, yet is very comfortable for your local cruise in. 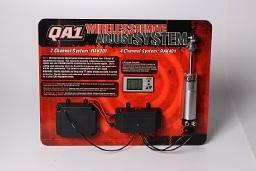 Provides users the ability to tune their QA1 adjustable shock absorbers via wireless remote control from inside the vehicle. No hardwiring to the cockpit needed. Click for more new products! Coming soon! 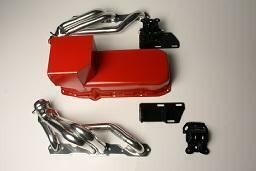 More new products for 2011 from the Performance Racing Industry Show!